This has been one of busiest periods of my life with an explosion of exhibition, films and album covers. Here’s a whistle stop tour of some highlights and a few pictures before I have to get back to the drawing board. I picked up an award alongside Kelvin and Lesley Christiane of Twickenham Jazz Club in June for our short film – Twickenham Jazz Club Sketchbook. 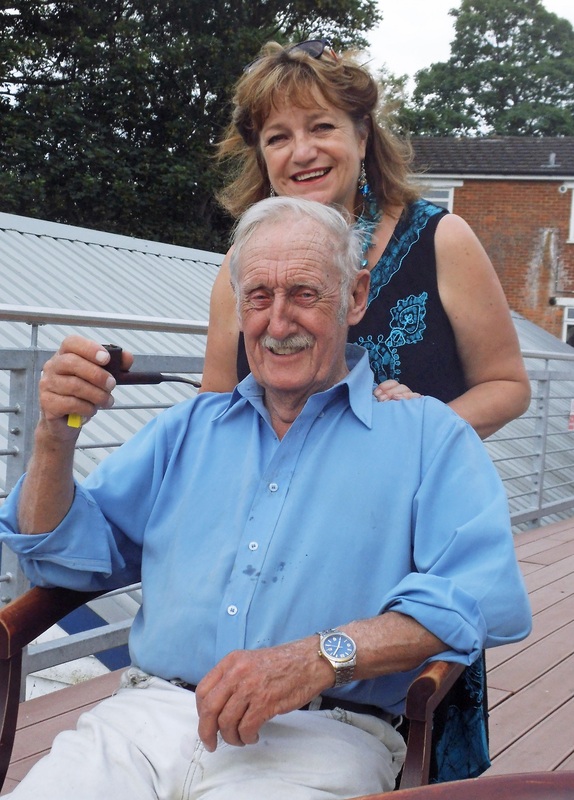 It was a wonderful night on Eel Pie island as we rubbed shoulders with some inspirational characters like inventor Trevor Baylis. In April I flew out to Serbia to be artist-in-residence at the inaugural Stone Upon Stone festival in Nis. It was my first visit to Serbia and I was well looked after by my hosts Dejan, Alen and Milica Ilijic. I sketched for three nights at the festival and captured 6 different bands/groups. It was an opportunity of a lifetime, the chance to discover new music and explore another country and culture. 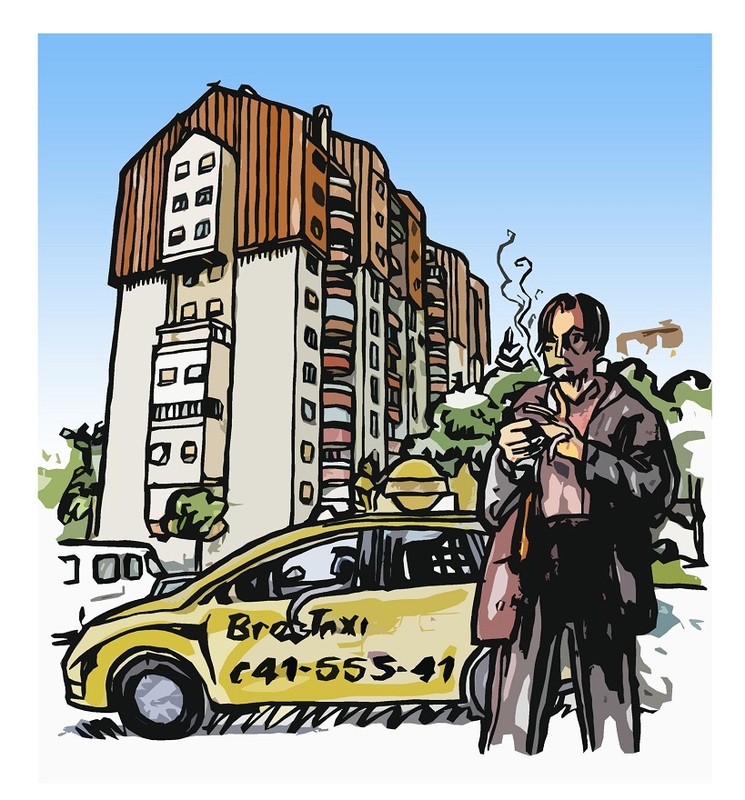 The highlight was being able to stay amongst the local people in the ex-communist Lepa Brena apartment block on the edge of town. Over the past couple of months two of my album covers have been featured on new releases by Alex Hutton Trio and Partikel. 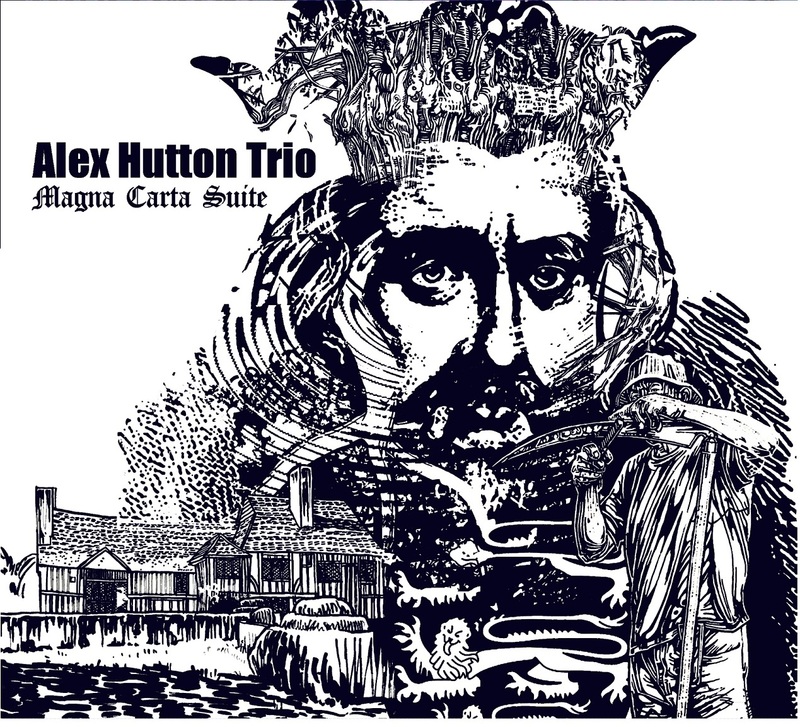 This is my second album for Alex Hutton. His album ‘Magna Carta Suite’ celebrates the 800 anniversary of the charter. The new Partikel album is a cracker. They have composed and recorded and album with a supper talented string quartet, featuring one of my favourite musicians Benet Mclean. It is my third album cover for Partikel and once again they release on Michael Janisch’s Whirlwind Label. As part of this week of celebrations I worked alongside Kingston University to organise a day of performances at the Rose Theatre, Kingston. 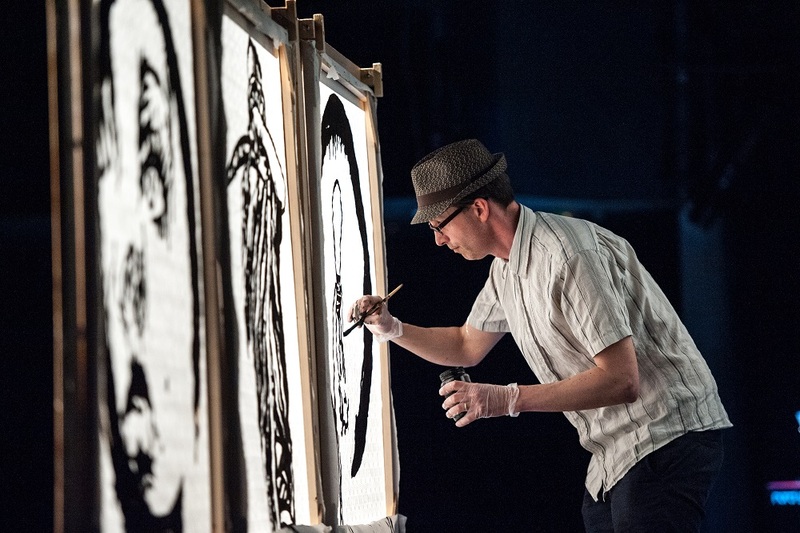 I was last on stage drawing live on large paper canvases, beside me was talented Duncan Eagles (saxophone), Max Luthert (bass), Chris Nickolls (drums) and Bill Mudge (Keys). Never one to be pigeon-holed I took to the streets for something a bit more subversive at the NOSE 2015 festival in Exeter. It’s fast becoming one of our favourite platforms for testing out the freshest of ideas and artworks. Last year Harvey Wells and I placed magnetic images of one-sided conversations on the cities streets. This year we made the city centre of Exeter into a giant maze. Harvey and I armed ourselves with cameras and a dice, fate was our mistress for a day. 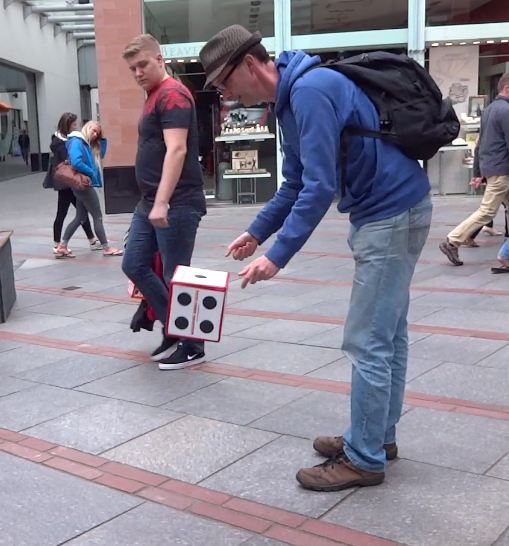 We also commissioned a piece of random inspired music from long time collaborator Juan Maria Solare called ‘One of these dice’. 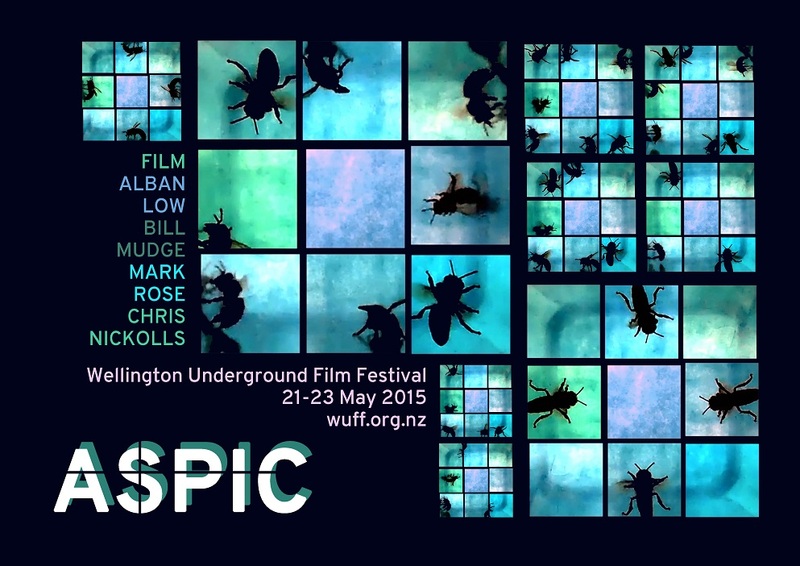 May was an exciting month as we also premiered a new film called Apsic at the Wellington Underground Film Festival in New Zealand. Apsic was made as part of mine and Bill Mudge’s trip to the TANE house on the Isle of Wight. It has a brilliant score that is part written and part improvised by experimental trio Toy Rokit. I exhibited Murder Minutes 1 and 2 at Fringe Arts Bath this year in their excellent Disordering Chaos show. The exhibition looked at systems of order in art and the wider world, the show presented works which utilise or disrupt ordering, cataloguing or organisational systems. 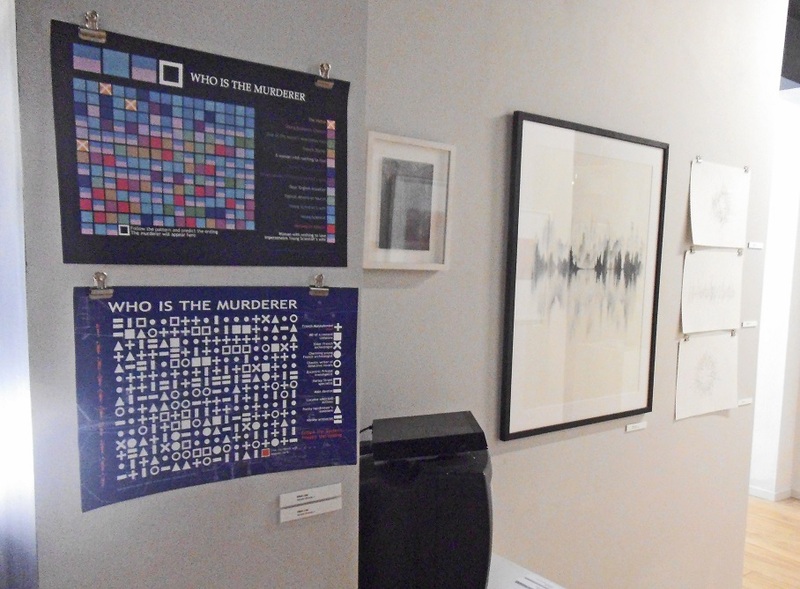 There was a little bit of excitement as my work Murder Minutes 2 was stolen from the exhibition. It was returned a day after with a full annotated solution its Agatha Christie puzzle, put it is still mystery who the light fingered code cracker was? Curated by Mark Fearbunce. 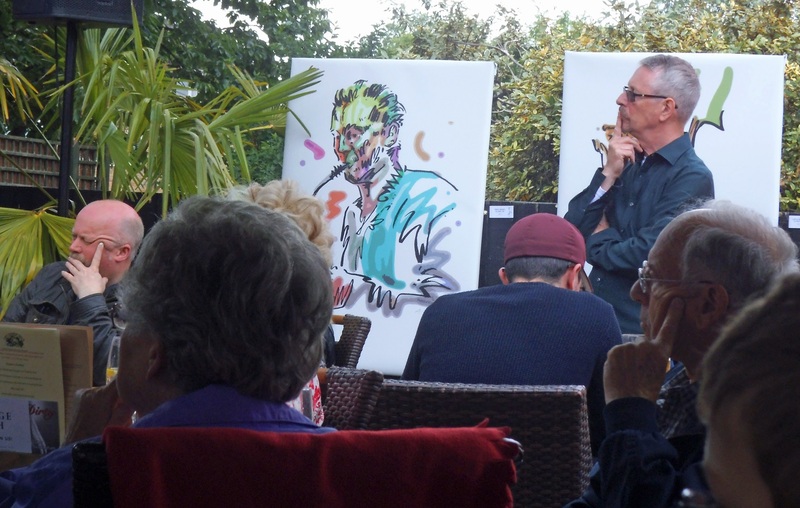 Thank you to hosts Lesley and Kelvin Christiane at Twickenham Jazz Club and all the staff at the Cabbage Patch for putting on our Musicians in Motion exhibition in June. What a fabulous day as part of the Twickenham festival. It is an experience that changes the way you think about your own body and those pressed tight against us as we go about our daily lives. In April I was given the opportunity alongside poet Kevin Acott to enter the inner sanctum of King’s College Dissecting Room. The days before were full of visions of unimaginable deaths that spawned in the mind, for this was my first encounter with a dead human body. 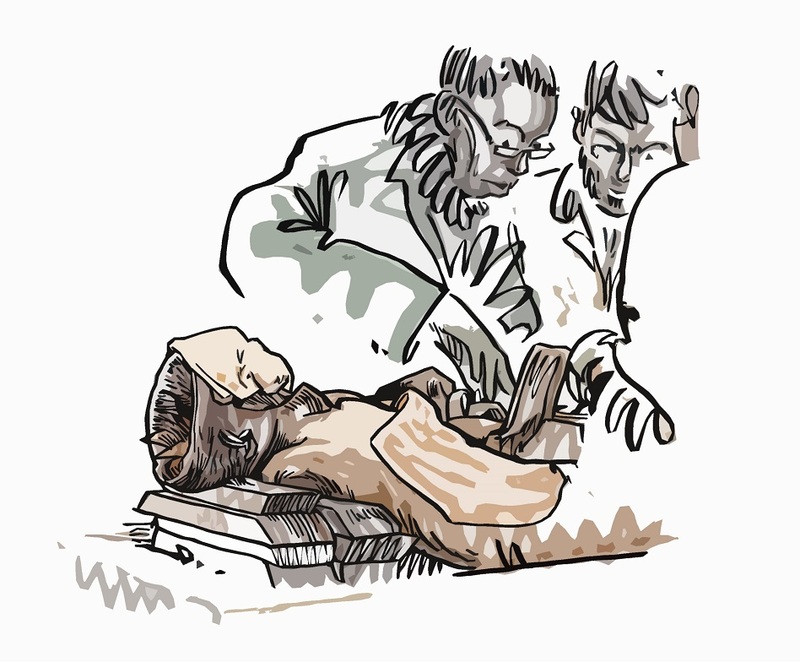 Hopefully we’ll have an exhibition of the work later in the year.